Here at Abbey school we understand the every changing digital world and recognise the importance of our pupils becoming computer literate. The computing curriculum at Abbey has this at its heart and allows our pupils to become ESMART. Jobs need to be filled by staff who feel comfortable with a range of technological devices and understand how these can connect to a world of huge possibilities. However, we also acknowledge that children, through their innocence, may encounter and become involved in dangers whilst online. 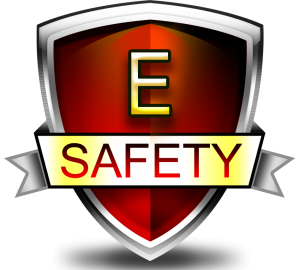 Below are a range of guidelines, resources and advice about how to keep your child safe as well as an overview of how we approach ESafety with your child..
We have 5 members in our E-Safety team, should you wish to speak with us we would be happy to help. Please use our contact page or phone directly on 01709 740074. ** For issues out of school hours or in holiday periods please email safe@abbeyschool.co for advice, for urgent matters please contact the police or CEOP directly. Our curriculum provides a wealth of opportunities for our pupils to become digitally aware citizens and enhance their digital literacy. At the same time we understand that ESafety needs to be a subject that is taught continuously and works alongside the opportunities offered for pupils to use new and emerging technology. Our vision is for our pupils to be ESMART ambassadors both within school and within the family home. Contact the school for further information on ESafety and up and coming ESafety events.